RF Grupp offers a wide range of products: fresh, frozen, salted and spiced fishery products. We mainly sell Baltic herring, sprat and smelt, but also fresh, frozen and smoked trout and salmon fillets, roe, belly flaps, backbones, trimmings, heads. 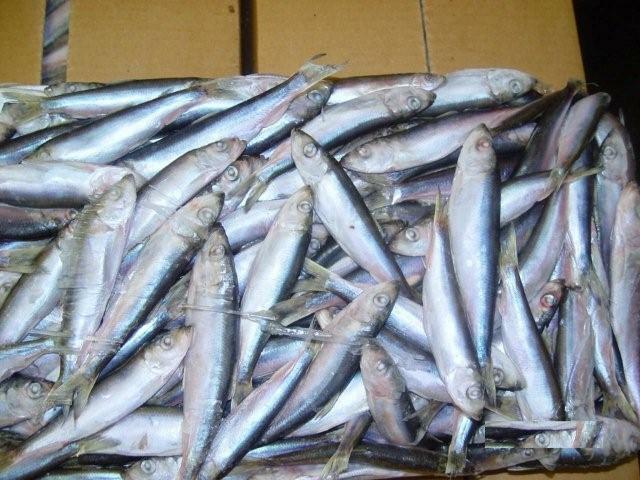 Air-frozen Baltic herring, 10-14 cm long. Modern technologies of delivery, processing and storage guarantee the stable quality of products. Production process is constantly supervised - from the delivery of raw material until the storage of the finished products. We also pay much attention to logistic process. That way the quick delivery of the products and preservation of their quality during transportation is guaranteed. We can pack the products in different packages and in different amounts, all according to the client's wishes. Most of the frozen herring, sprat and smelt are packed in carton boxes by 24 kg or in plastic blocks by 12 kg. More photos in gallery.. Freezer storage in Estonia. On the left are 24 kg carton boxes with baltic herring, on the left 22 kg blocks of frozen sprats packed in plastic. Air-frozen Baltic herring, 10-14 cm long. Modern technologies of delivery, processing and storage guarantee the stable quality of products. Production process is constantly supervised - from the delivery of raw material until the storage of the finished products. We also pay much attention to logistic process. That way the quick delivery of the products and preservation of their quality during transportation is guaranteed. We can pack the products in different packages and in different amounts, all according to the client's wishes. Most of the frozen herring, sprat and smelt are packed in carton boxes by 24 kg or in plastic blocks by 12 kg. More photos in gallery.. Freezer storage in Estonia. On the left are 24 kg carton boxes with baltic herring, on the left 22 kg blocks of frozen sprats packed in plastic. RF Grupp offers a wide range of products: fresh, frozen, salted and spiced fishery products. We mainly sell Baltic herring, sprat and smelt, but also fresh, frozen and smoked trout and salmon fillets, roe, belly flaps, backbones, trimmings, heads. Air-frozen Baltic herring, 10-14 cm long. Modern technologies of delivery, processing and storage guarantee the stable quality of products. Production process is constantly supervised - from the delivery of raw material until the storage of the finished products. We also pay much attention to logistic process. That way the quick delivery of the products and preservation of their quality during transportation is guaranteed. We can pack the products in different packages and in different amounts, all according to the client's wishes. 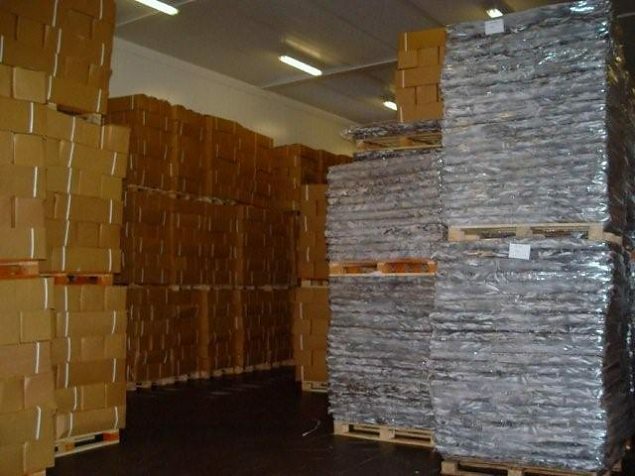 Most of the frozen herring, sprat and smelt are packed in carton boxes by 24 kg or in plastic blocks by 12 kg. More photos in gallery..
Freezer storage in Estonia. On the left are 24 kg carton boxes with baltic herring, on the left 22 kg blocks of frozen sprats packed in plastic. Products RF Grupp offers a wide range of products: fresh, frozen, salted and spiced fishery products. We mainly sell Baltic herring, sprat and smelt, but also fresh, frozen and smoked trout and salmon fillets, roe, belly flaps, backbones, trimmings, heads.